#TeamShakira les necesita! Tienen 5 maneras distintas para realizar sus votos! 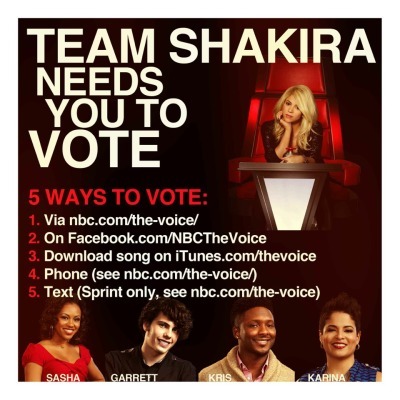 #TeamShakira needs you! You have 5 different ways to vote.